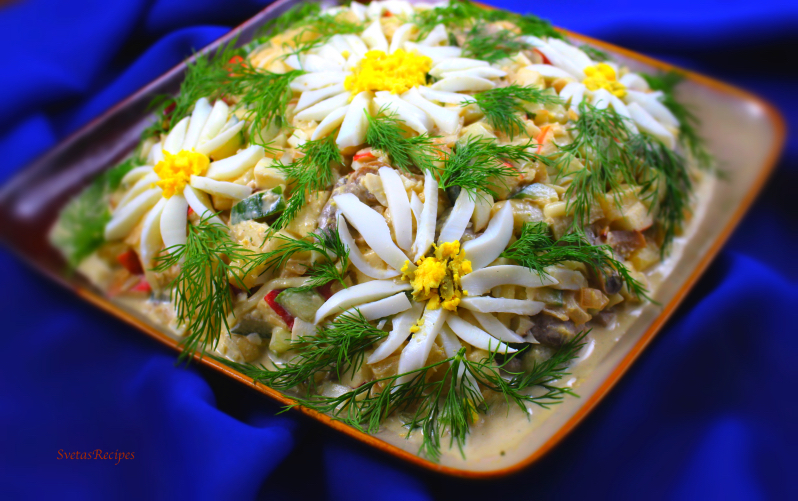 This “Salad Daisy” is a very interesting combination of ingredients. 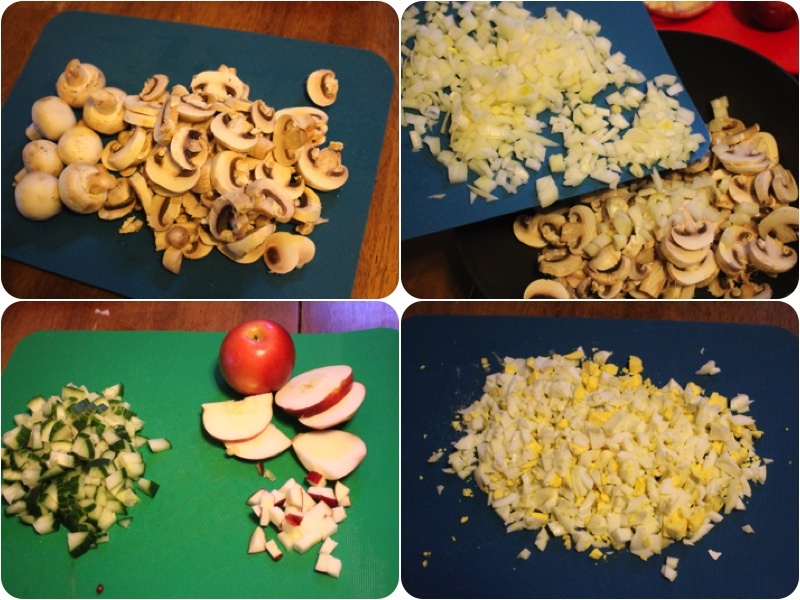 Including sautéd mushrooms, onions, cheese and much more. This salad is very tasty on any dinner table. 1.) Wash and dry you apples, cucumbers and mushrooms. 2.) Slice your mushrooms into thin pieces. Dice your onions and place your onions and mushrooms into a skillet with hot oil, fry them for minutes on a medium heat. After cool them off and place them into a bow. Dice your cucumbers, apples and hard cooked eggs. 3.) Combine all of your diced ingredients into a medium sized bowl. 4.) 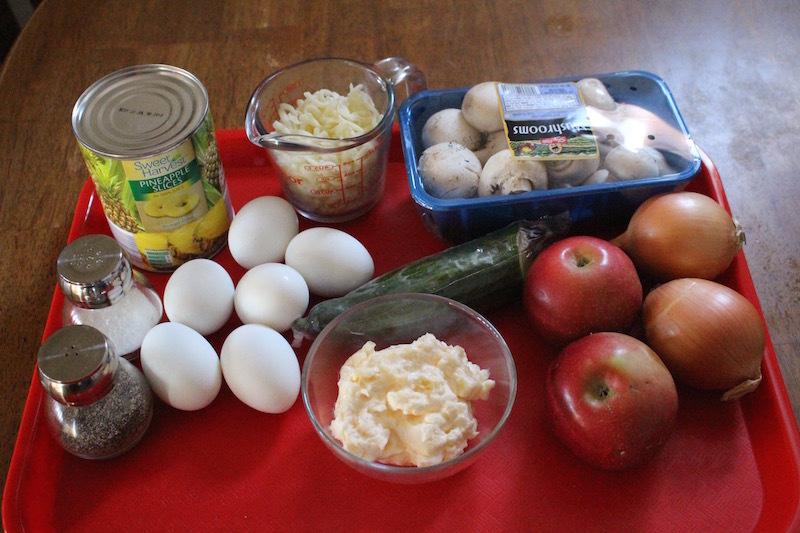 Add pineapples, mayonnaise, cheese and mushrooms to your medium size bowl and mix the ingredients well. 5.) Place your delicious salad on a severing plate and enjoy! Note: This recipe should be made before your main meal. Wash and dry you apples, cucumbers and mushrooms. Slice your mushrooms into thin pieces. Dice your onions and place your onions and mushrooms into a skillet with hot oil, fry them for minutes on a medium heat. After cool them off and place them into a bow. 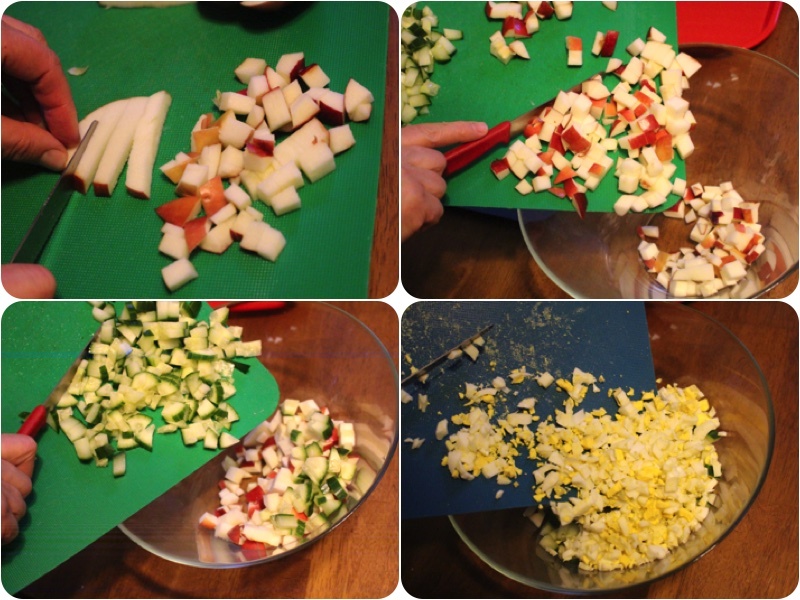 Dice your cucumbers, apples and hard cooked eggs. Combine all of your diced ingredients into a medium sized bowl. 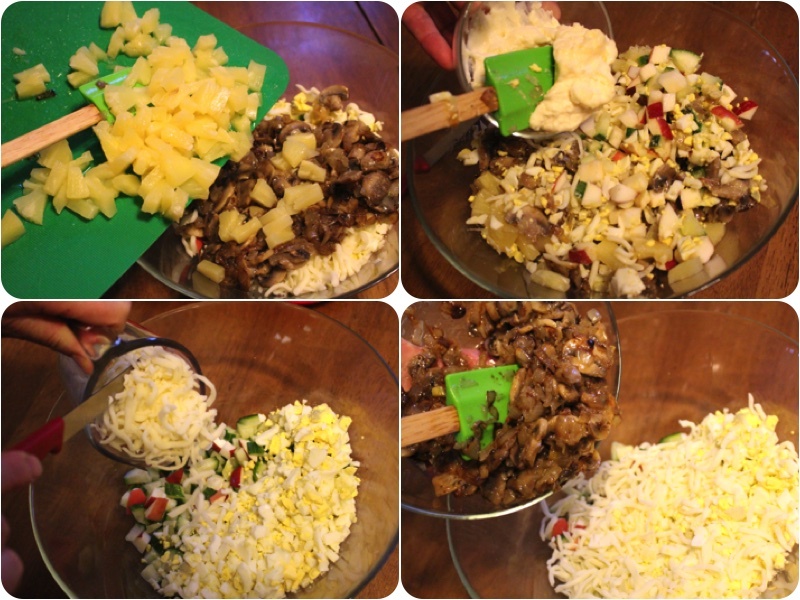 Add pineapples, mayonnaise, cheese and mushrooms to your medium size bowl and mix the ingredients well. Place your delicious salad on a severing plate and enjoy!